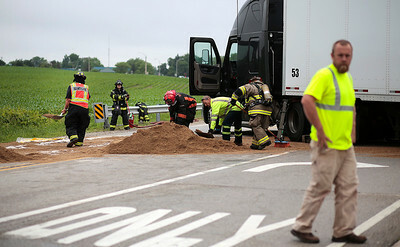 Kyle Grillot - kgrillot@shawmedia.com Area departments lay down sand to remove spilled diesel fuel near the intersection of Route 12 and Burlington Road after a semi started leaking fuel in a minor crash with a pick-up truck. 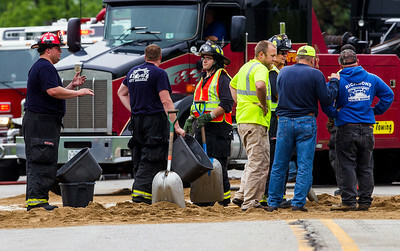 At least 10 fire departments responded to the scene where McHenry County Sheriff's officials said a hazmat team was working to clean up roughly 100 gallons of diesel fuel that was spilled in the crash. 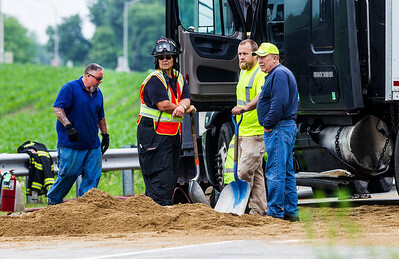 Richmond Fire Department was able to stop the diesel from leaking into nearby ditches. 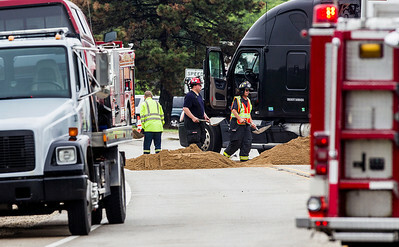 Area departments lay down sand to remove spilled diesel fuel near the intersection of Route 12 and Burlington Road after a semi started leaking fuel in a minor crash with a pick-up truck. 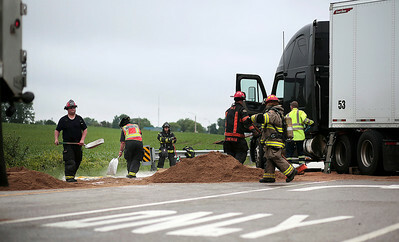 At least 10 fire departments responded to the scene where McHenry County Sheriff's officials said a hazmat team was working to clean up roughly 100 gallons of diesel fuel that was spilled in the crash. 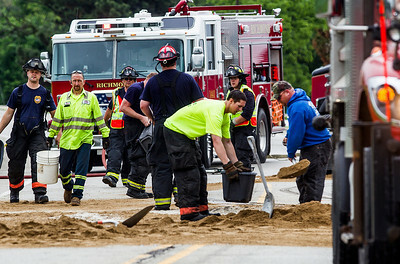 Richmond Fire Department was able to stop the diesel from leaking into nearby ditches.